I always feel a little guilty reviewing a cookbook produced by the same folks who produce a magazine I subscribe to, in this case, Food & Wine. After all, if I like the subscription enough to continue it, the odds are pretty good I’ll like a cookbook produced by the same publisher. However, this is a little bit different, and it makes all the difference in the world. This cookbook is a collection of recipes from what Food & Wine determined to be the 25 best cookbooks of 2012. Not only does this give me some outstanding recipes, I get a free glimpse into 25 cookbooks to see if they are of interest to me. 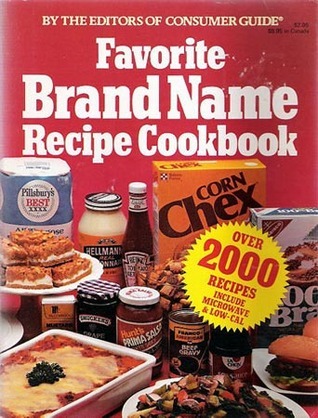 Certainly, not all the cookbooks included here are down my alley, but the vast majority are, perhaps 20 of them. Those 20 have definitely been added to my To-Read list, and I hope to be able to track them down and add them to my collection. Alright, on to the review of the book itself. It’s essentially ordered in a way that each included cookbook has a title page giving some details about the cookbook and its author(s). This is followed by several recipes from that cookbook. Each group is peppered with several high quality photos showing what the completed dish should look like. For amateur cooks like myself, this is essential. While my finished product may not be five-star restaurant worthy, at least it should resemble the picture in the book. If not, it’s back to the drawing board. Needless to say, this collection contains recipes from across the menu: appetizers, drinks, entrées, desserts, etc. There are also many cuisines represented, which is wonderful for me since I love all cuisines I’ve tried. Certainly I have favorites, but I have found something of interest in all I’ve tried. And those are just the ones that really caught my immediate interest. There are many other wonderful recipes I hope to try and, of course, eventually get the cookbooks from which they originated. Hungry yet? 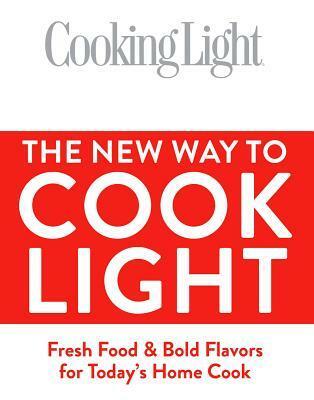 As a subscriber to Cooking Light Magazine, I will admit I’m probably predisposed to liking this book. But at the same time, I have an expectation of standards that needed to be met. That said, this book will be a wonderful addition to my collection. One of the things I have always liked about the magazine is the creativity applied to the recipes. You aren’t stuck with just vegetarian recipes that have no flavor or oomph to them. That creativity certainly applies to this collection of recipes. 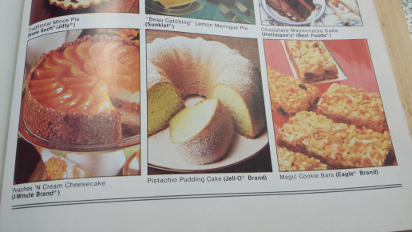 I didn’t dig through the issues I have on hand, but several of the recipes seemed familiar. While that might be an issue for some, I certainly don’t mind. I’m all for trying to consolidate the best recipes into a single location. Yeah, you get the idea. Not your average Good For You recipes for sure. Bottom line is, if you’re familiar with the magazine, this book will seem very familiar to you. If not, it will still become a valuable addition to your culinary library. Who knows, it might even lead you to a subscription to the magazine. I know mine has been well worth the cost. Anova Books was kind enough to supply me, through NetGalley, with this eGalley for the purposes of reading and reviewing it. Although it was provided at no cost to me, I am under no obligation to give a positive review. This book was absolutely not what I was expecting. And that’s a good thing. I honestly expected lots of frozen casseroles, lasagnas, crock pot / slow cooker dishes, things like that. I couldn’t have been more wrong. You get the idea. Not your average frozen dinner, that’s for sure. Admittedly, most of these recipes have both make-ahead and final prep components to them, so they aren’t just ones you can take from freezer to oven to table. But the most labor intensive portion of each recipe is done in advance, and that portion is frozen or refrigerated until you need it. 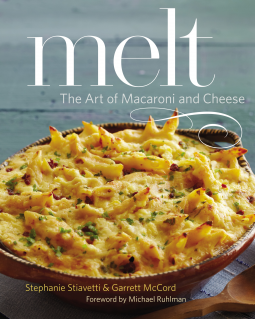 I really enjoyed this book, and it’s made me look at busy weeknight meals differently. I don’t know how often I’ll serve quail eggs, but I will definitely be trying several of the dishes. 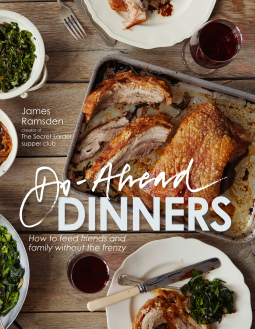 One thing I would have liked to have seen more of was pictures of the finished dishes, although there certainly wasn’t a dearth of images in the book. Just personal preference, that’s all. Many thanks to Taunton Press for providing me with a copy of this eGalley through NetGalley. Although it was provided to me at no cost, I am under no obligation to give a positive review. OK, on to the review. 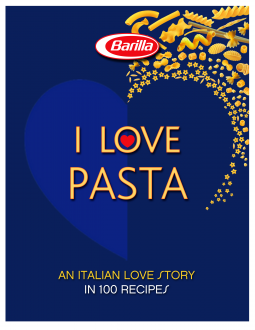 It only takes a quick glance at the cover to see the logo by pasta giant Barilla. Yes, they ultimately were responsible for putting this tome together, but in all fairness it wasn’t a cover-to-cover marketing ploy. Sure, the included recipes suggested Barilla pasta in each dish, but I don’t believe anyone is under any illusion they have to use Barilla pasta, although I have always liked it. 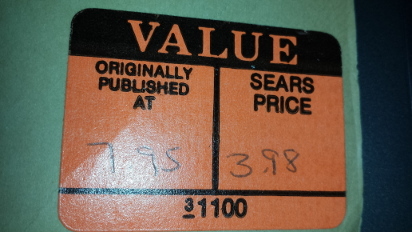 The first twenty pages or so are a history of Barilla, but that’s a small price to pay for the goodness that follows. First, the book does a wonderful job of explaining the history of pasta, including, one of the most fascinating aspects in my opinion, the etymological origin of each name. It also discusses why different pasta shapes and textures are better with some sauces and not so much with others. It was very nice reading some science behind the cooking. Hands down the best part of this book is the recipes. Awesomeness. There are three sections of recipes: long pasta, short pasta, and soup pasta. 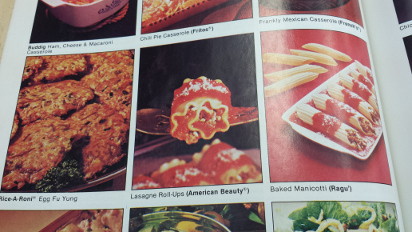 Each one includes about 30 recipes incorporating one type of pasta in that group. The recipes are straight-forward when it comes to ingredients and directions. They also include prep and cooking time as well as a difficulty level for each recipe. But the absolute best part? 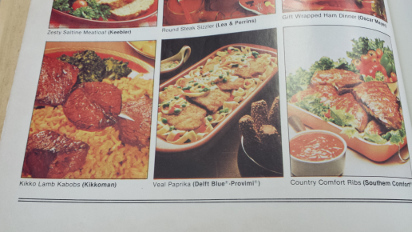 Every single recipe is accompanied by a full color picture of the finished dish. Not just a small inset black and white picture. Full page, full color. Yeah, baby! While I’m not a professional chef and don’t expect my recipes to yield anything looking like those pictures, it’s still nice to see what it should look like when done correctly. So, in case you can’t tell, I really enjoyed this book. I’m a big fan of cooking and have more cookbooks and cooking magazines than you can shake a proverbial stick at. Still, this is definitely one I’ll keep handy. Ten Speed Press was kind enough to make this eGalley available, through NetGalley, for the purposes of having it read and reviewed. Although it was provided to me at no cost, I am under no obligation to give it a positive review. OK, I have to admit it’s really all noodles, especially Asian ones. I do regularly have a lunch comprised primarily of the 20 cent packs from Wal-Mart, although I only use a minuscule amount of the seasoning and invariably add vegetables, meat and different seasonings. No, it’s not the same as homemade noodles, but it’s the concept and versatility of the dish that I love. So here I have a book about a Long Island Jew who is similarly addicted to good ramen, who went through culinary school, and, after some bouncing around between jobs and the death of his first wife, eventually remarried, moved to Japan and opened up a ramen shop. But he is doing ramen his way, infusing a little bit of his culture and creativity while still being true to the concept of ramen. Yeah, I’m probably pre-disposed to liking this book, I’ll admit it. The first part of the book is comprised primarily of Orkin telling his story. It’s fascinating and heart-breaking and even funny. The foreward, contributed by Momofuku owner David Chang, is absolutely hilarious too. The book also lays the necessary foundation for understanding why Orkin started his own ramen shop and, ultimately, why he has been so successful. The bottom line is, he makes a bowl of ramen that he likes, above all else, believing others will too. And he’s been wildly successful. 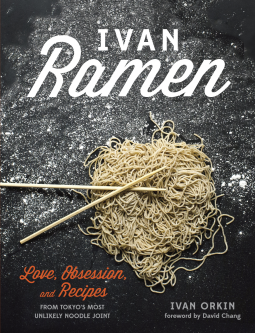 So much so that following the success of his first shop, Ivan Ramen, he opened a second location in Tokyo, Ivan Ramen Plus. Orkin is also, as of the time he wrote this, in the process of opening a new location in New York City, where his family moved following the devastating earthquakes in Japan in 2011. After that backstory, Orkin goes and does something completely against the grain: he gives detailed instructions on how he makes his signature dish, shio ramen. He discusses exactly how he makes it, what all the ingredients are, how to make those at home, and how to put it all together. Of course, you will probably have to tweak it some for a home kitchen, but it’s there in its totality. After that, Orkin gives you other recipes you can use the base ingredients for, just in case you don’t want ramen all the time (although I can’t understand why not :)). I haven’t had a chance to try any of the recipes, but I certainly can’t accuse him of not being up front with details. He even gives suggestions for substitutions in case you can’t find the exact ingredient stateside. Overall, I really enjoyed this book, and it’s given me a new appreciation for what makes a good bowl of ramen. I can’t wait to dig into the recipes and then likewise dig into many bowls of ramen as I work on tweaking the recipe to my tastes.